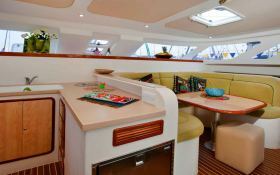 The Maldives on the Knysna 480 is the guarantee to embark aboard a catamaran of exceptional trips. 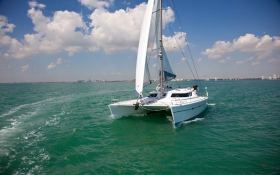 This catamaran will allow you, with short sailing times, to set sail for the atolls of Malé and its white sand beaches. 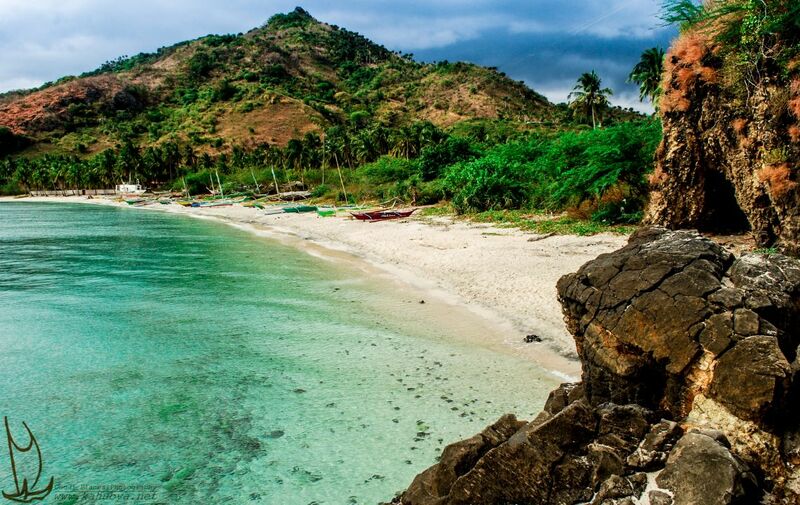 To swim in a real sea aquarium during real stopovers of dreams. 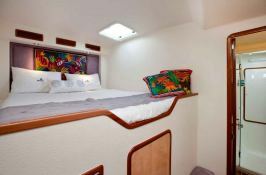 This luxurious catamaran offers four double cabins, each with a private bathroom, for up to eight passengers. 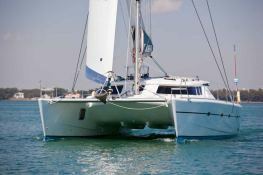 The Knysna 480 is an offshore cruising catamaran ideal for exploring the hundreds of islands in the Maldives. 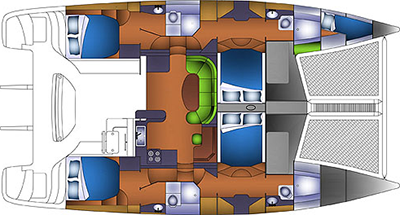 The saloon is very comfortable for up to eight people and the cockpit, extremely spacious, can accommodate larger groups. The bridge offers large spaces for lazing in the sun. 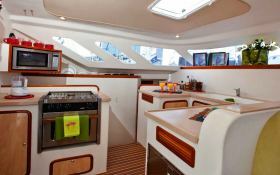 The boat is fully equipped for scuba diving (compressor, bottles, suits etc ...). It is possible to organize the presence on board of a diving instructor. Her professional crew of two, will be at your disposal to ensure you an unforgettable sailing cruise to discover the wonders of the Maldives and its paradisiacal beaches. 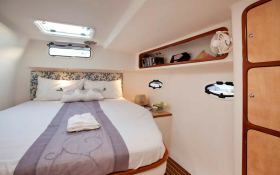 This crewed catamaran is available for yacht charter with a base price of 8 400 € (approximatly 9 473 $).